Lookit how pretty it is anyway, though! This is one of their discontinued colors, and I'm so glad I grabbed it. It is a very saturated pink-red. Under yellow lighting it had a coral tone to it. The holographic effect was amazing under intense light, but it was visible under regular lights, too. The orange and purple stood out most then. 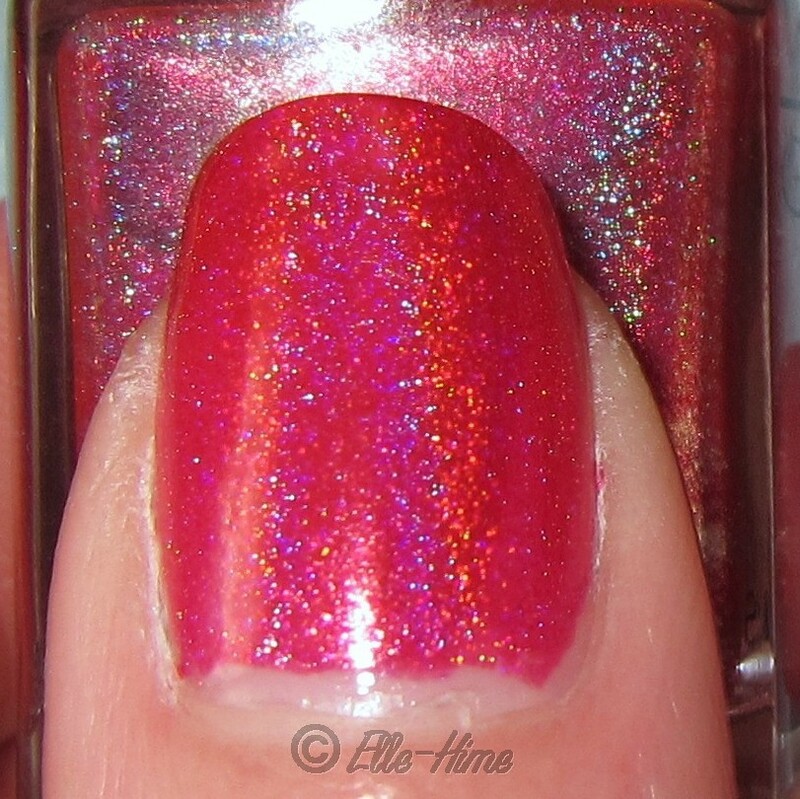 And under low light conditions it became a lovely red creme polish with fine silver shimmer showing in it. I loved wearing this! Gorgeous in the tiny bottle, too! My camera was freaking out a little, but these turned out pretty accurate. 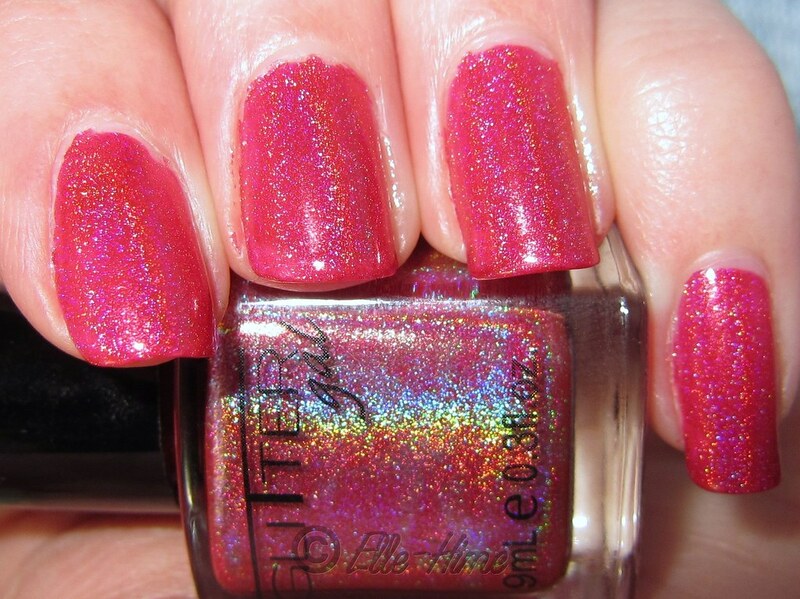 I love holos... now I want them all from the Glitter Gal line! I painted this over my regular base coat and finished with a coat of fast-drying Poshe. 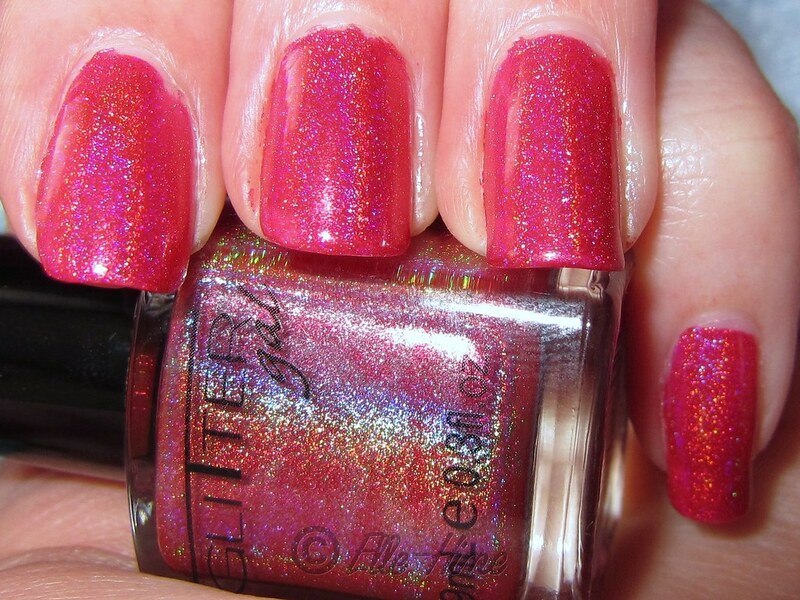 The top coat deepened the holo effect nicely. Thanks for looking! 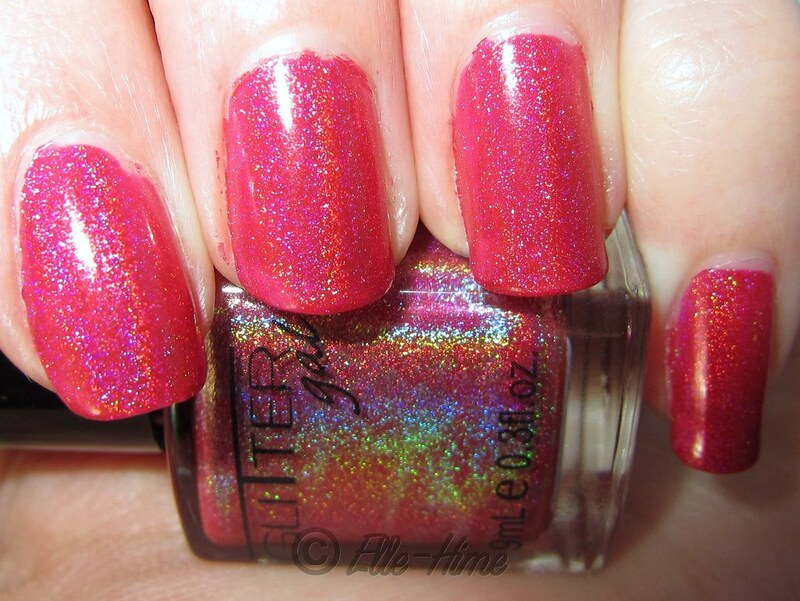 What Glitter Gal polishes do you own? I had a similar Bourjois nail varnish that would match this in colour. Really pretty! It's so bright and cheery.